Graham recently had a stomach flu. 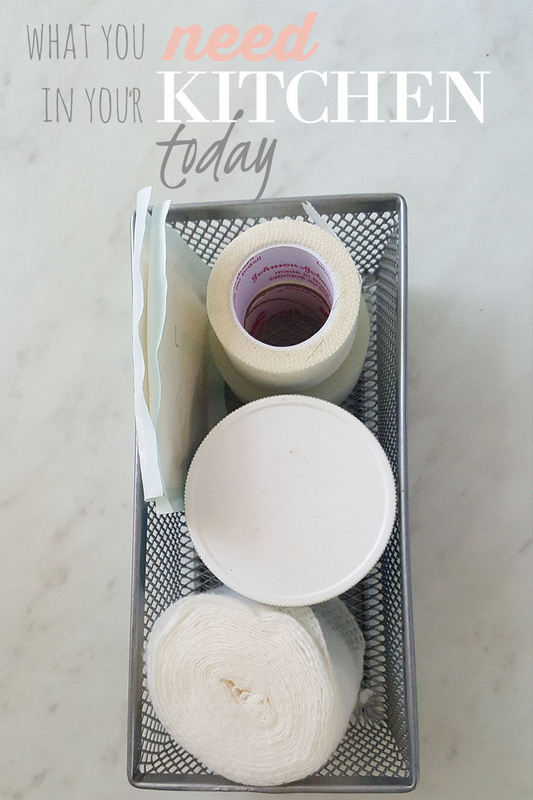 We’ve been there before, so my first aid kit was stocked like a pro. 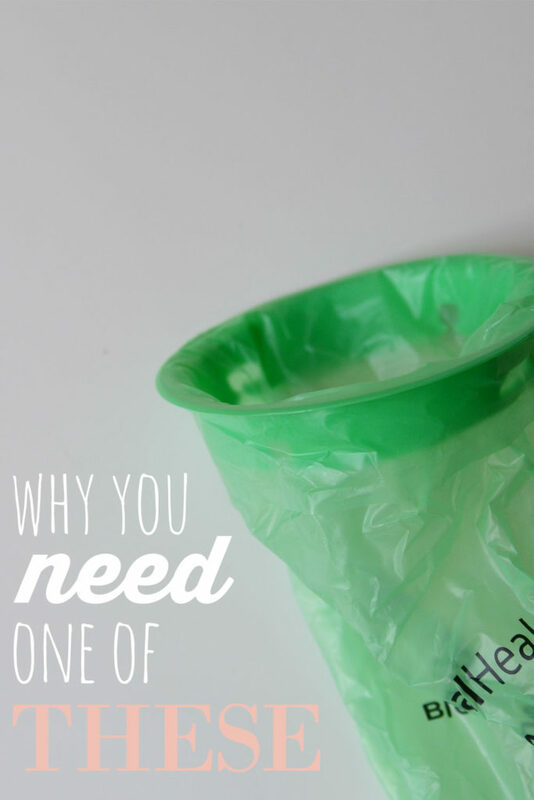 Every first aid kit needs one of these simple items that never expires and is even reusable! You can’t beat that. Last year was a bit gruesome for us. Long story short, we bought an old house. It magically got more disgusting about 2 hours after closing than it had been the whole time we were looking to buy it. So, we moved in with the in laws and gutted the kitchen. Five months later, we moved in. And a week after that, Graham got sick. It was late fall and there were all kinds of flus going around. I had just recovered from a bug myself. We assumed it was the same bug making it’s way back around to us. Three days later, he was even worse. The sickies settled into his throat and he had croup. He has a tender gag reflex (thanks to his dad), so when get gets really upset crying or coughing, guess what happens? Lots and lots of throwing up. We lasted almost through the night before we were in the ER. We were worried about that super croup we heard coming from him, but we were even more worried that our little guy was bordering on dehydration. While we were there, Nathan grabbed a couple of handfuls of these. The next time you go to the doctor’s office or the emergency room, keep a look out for a tube of these hanging on a wall somewhere. The EMTs always take a handful when they see them, and if you’re a mom, you probably should, too. They’re called emesis bags. And they’re amazing if you have a sick little one (or big one) in your house. They work better than any throw-up bag in history. Well. Maybe. Certainly better than a trash can works for a toddler that doesn’t have very good aim. And this might sound totally gross…but…you can sleep with it in your hand. You know what I’m talking about, mama. Your baby is sick and everyone is sleepy. He throws up and feels better. And everyone dozes off. But you’ve got to stay ready at the helm for the next time he wakes up and you have .032 seconds to catch it. Do you want to sleep with a trash can? Or this little lifesaver? They’re made to be disposable (of course. gross. ), but here’s the deal: I don’t really ever go to the doctor’s office or ER anymore, so I needed to reuse them. Somewhere along the way, I vaguely remember someone mentioning produce bags will fit on these. But, my soft tender tomatoes even tear through produce bags. I definitely don’t trust those things. So, I made my own replacement bags. 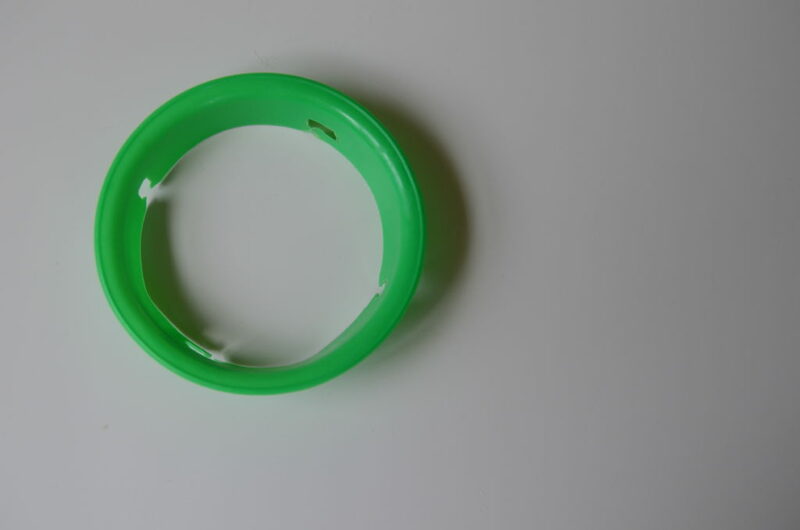 It turns out that quart storage baggies fit perfectly over the rings. The are just the right size to stay taut but are easy to get on and off. You just need to take off the original bag so that you have the ring. 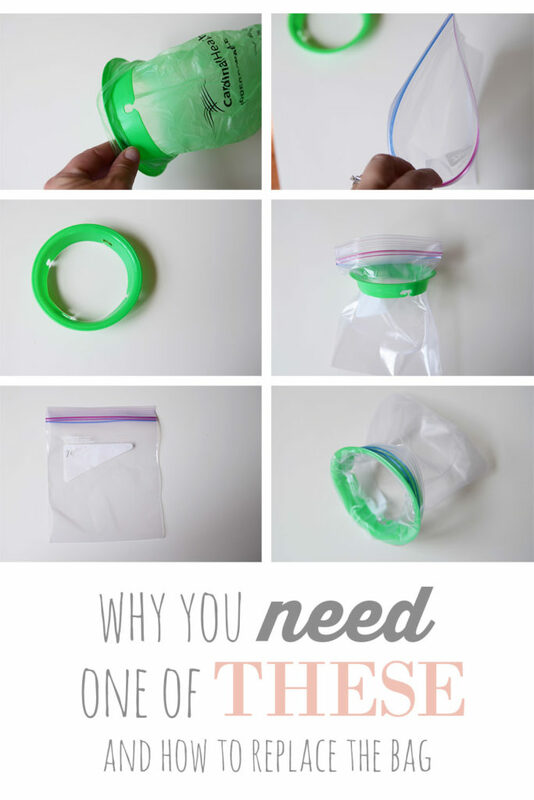 Then, you just insert your baggie through the ring. 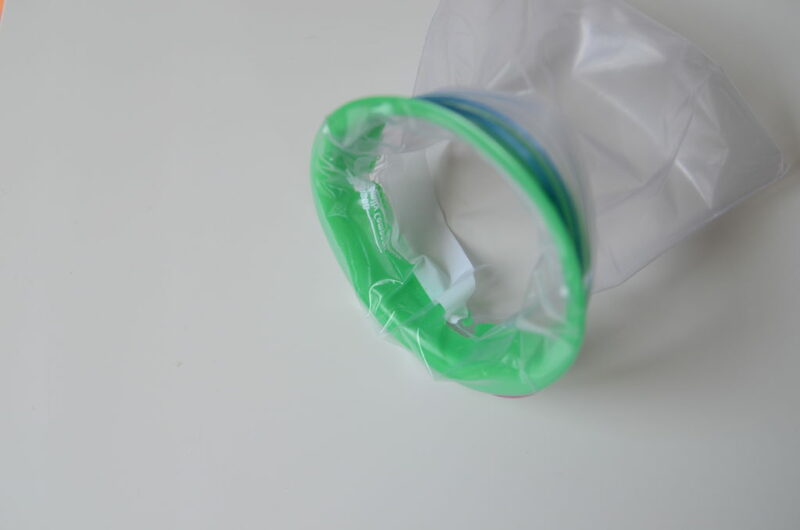 Then open the baggie and fold the zipper part out over the plastic ring. Here’s a recap if I lost ya. That’s it! Now you’ve got yourself you very own (super secure) throw up bag. Every first aid kit needs one of these and maybe even extra quart size baggies (if you don’t normally keep that size on hand). I got food poisoning this week. It was fast and mean. And I’m pretty sure charcoal saved me from major pain and agony. And it isn’t the first time. Back in the day when I was a kid, I felt like I lived on pepto bismol. I drank that stuff about once a week for a tummy ache. I’m not even sure that stuff did anything besides leave a funny aftertaste in my mouth. Anyone feelin’ me here? 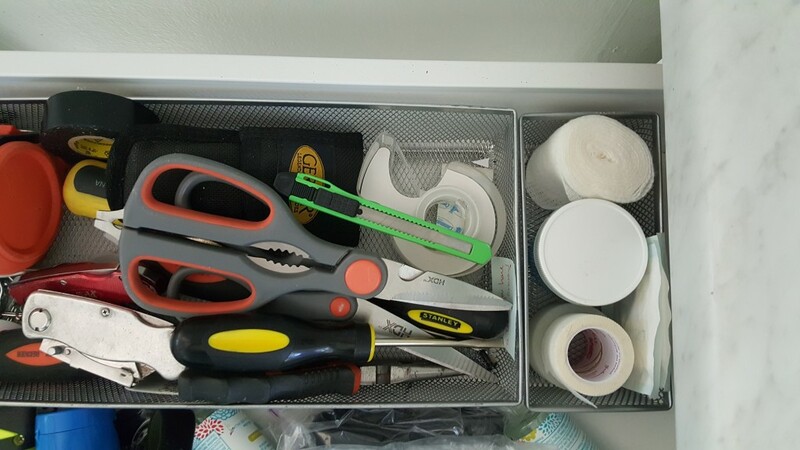 Now that I’m all grown up with Google and Pinterest a tap away, I’ve got some way better tools in my medicine cabinet. Charcoal. Ewwe. Gross. No. Not the kind in your grill. That stuff is full of chemicals. I’m talking about the kind at the health food store or the grocery store. It’s called activated charcoal and is completely safe for most people. 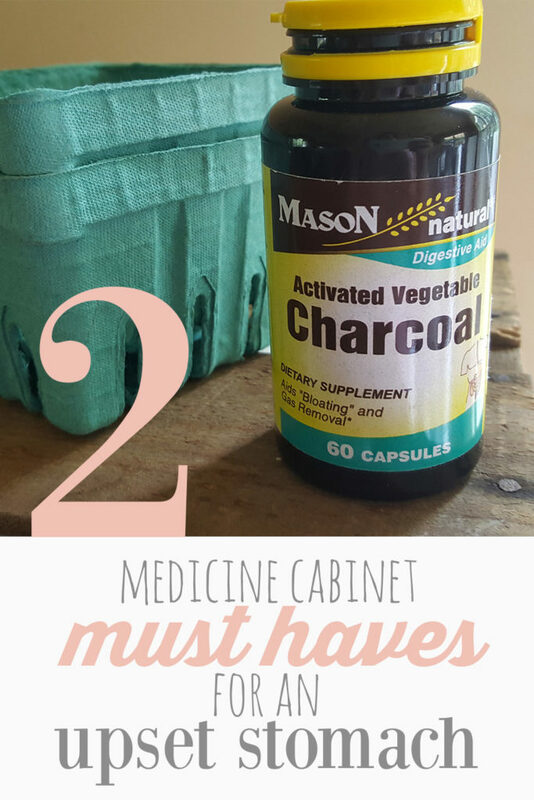 Charcoal is one of my favorite new go-to tummy ache miracles. It works. Every. Single. Time. And pretty quickly, too. Here’s how. From what I understand, it basically binds to the toxic stuff that’s creating your tummy ache and neutralizes the toxin. Which means, it makes the thing creating your tummy ache not make your tummy ache any more. It’s amazing. Simple and beautiful. Where has this stuff been all my life? Another one of my favorite natural tummy ache remedies is Pearls. They are as natural as charcoal, but in a totally different kind of way. Pearls contain probiotics that help your tummy to have more good bacteria. And the good bacteria get rid of the bad bacteria. One time I missed work for 3 days. I was alone in Sarasota and was completely helpless. I couldn’t get out of the bed, much less get to the store for medicine. My family had a trip planned to come see me that weekend, and it’s such a good thing, too. My mom brought me some pearls. I was better in about 3 hours. Yeah. Like better for good. Those little things are amazing. Both Pearls and Charcoal work crazy fast. And they even keep charcoal on hand at the emergency room for alcohol poisoning cases. If it’s good enough for the ER, it’s good enough for me at home! Pearls should be pretty easy to find in the medicine aisle at any grocery store, but you might need to ask the pharmacist for charcoal. It is over the counter, but sometimes they keep it behind the counter. Or you could order them online. But you definitely need them in your natural medicine cabinet. Or in your non natural medicine cabinet, too. They definitely work better than the pink stuff!! Without a gross aftertaste! What you need to know about burns before you get burned. I’ve been cooking since I was 6 or 7. And I’ve been burned cooking since about that time. Haha. When I was a kid, I always held the cookie sheet wrong and got burns on my arms. When I got a burn, we tried all kinds of remedies for burns while I was a kid. We would put butter on it. Then ice. Then (just kidding). And I’d have to go to the couch and prop my feet up. Hmph! Teenagers. Now that I’m a grownup, I get a little bit fancier sometimes and will cook dishes that require me to put a skillet into the oven. And every time I cook a recipe like that, I promise myself I will be careful with the skillet handle when it comes out of the oven. And every time, I get burned. Recently, I got the worst burn of my life on the inside of my wrist. It was so serious that I went to the doctor after a few days of it not healing. My insurance was the pits at the time, so it was a huge deal that I went to the doctor. And for a burn? Psshhh! It wasn’t even a broken leg! But while I was researching what to do about that burn before resorting to heading to the doctor, I found tips that could have helped if I knew them before I got burned. For a standard burn, there isn’t much to do, but you need to do it immediately. First, run it under cool (not cold) water for about 5 minutes. This part will “take the burn out” and help with swelling later on. Ice is a no no and actually makes it burn worse when you take the ice off and your burn is no longer numb. Second, wrap the burn in clean gauze. You want to keep the burn from getting air. Air will encourage your skin to scab, but you want it to do some healing before it scabs over. The gauze is acting like neosporin by creating an environment for your skin to heal itself. But don’t use neosporin because the oil can aggravate a burn. That’s why gauze is best. If you have a really serious burn, silver can help your burn to heal quickly and keep it from scarring. The doctor gave me a prescription for a silver cream but I’ve heard colloidal silver works wonders on burns, too. This is the kind of colloidal silver that I have, but the higher the ppm, the better. 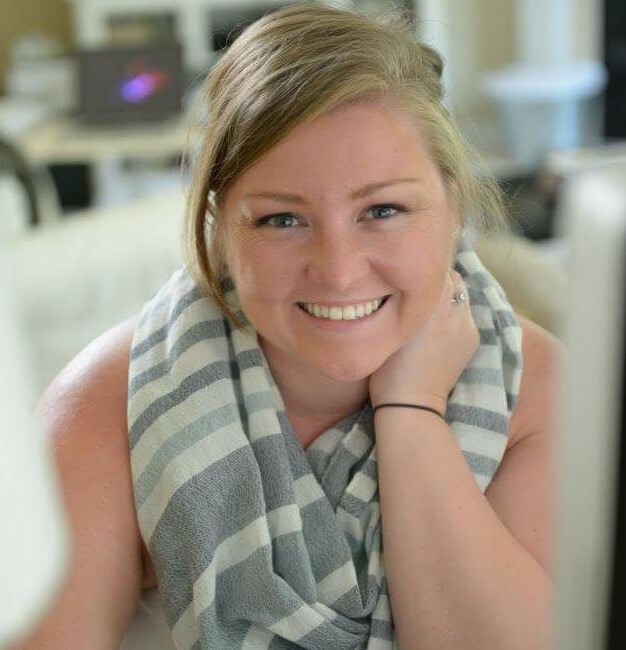 And if you’re like me, you might be cooking dinner alone or with a kid on your hip, so you’ll want to make sure your kitchen is stocked with the necessities. I keep mine in a little basket in the junk drawer. It’s my burn basket. If I get a burn, I just stink my finger under cool water. Dry it carefully, then wrap my finger nice and snug. Then, I usually feel fine enough to continue on with dinner.